2. Find the curriculum you want to import. 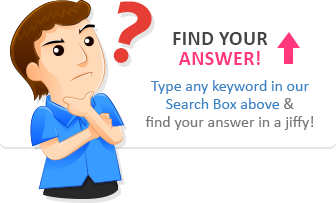 Click on your license key on this page to begin importing your key and your curriculum. If you bought a physical kit, find your license key either in your emailed BrillKids Invoice or in the license key card in your kit. 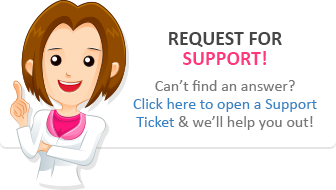 Type in your key in the "Store License Key" field on the Curriculum & License Key page. Click on the ADD TO ACCOUNT button to store it. 4. Open Little Math and go to the Tools Screen. Click on the Enter License Key button at the bottom right corner of the Software Information section. 5. 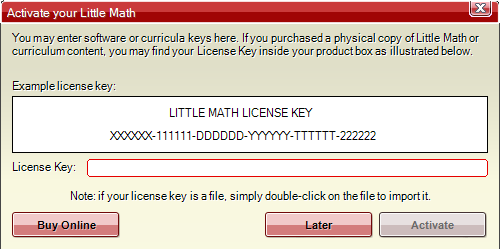 You will automatically be prompted to import the license key to your computer. Copy the license key from the Account Management page and paste it in the Enter License Key box. 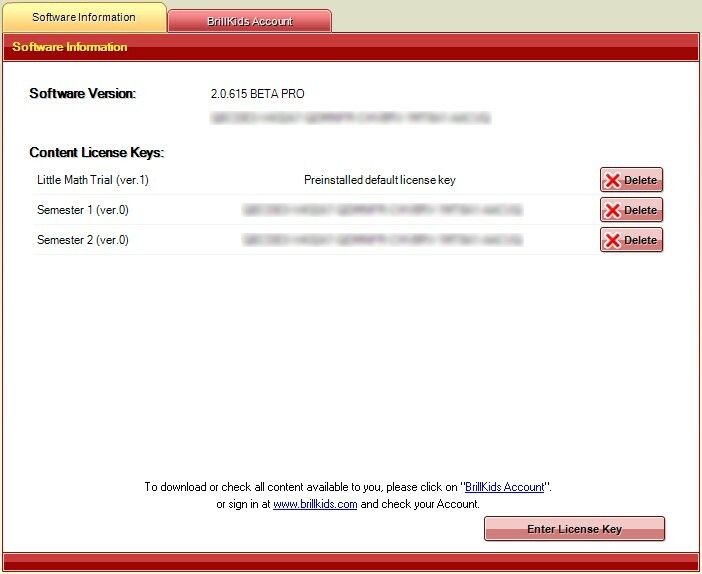 Then, choose Activate to begin importing the license key and unlocking the full functionality of your software. Note: You must be connected to the Internet to activate your copy of Little Math. Once Little Math finishes communicating with our server, a small window will pop up telling you that you have successfully activated your BrillKids program.